Cost: Check Website Calendar for Class Locations & Pricing. You may sign up for classes on our website, or at Superior Firearms in Tyler. Equips the concealed carrier with the necessary skills to draw from concealment safely and effectively, move and shoot, utilize concealment/cover, engage covertly without raising unwanted attention. 3rd party protection tactics, malfunction drills, threat identification and elimination tactics and survival mindset. Also, choosing the right ammunition and concealment device. Home invasions, burglary, robbery, inclement weather disasters, etc…are on the rise. A lack of preparedness can have disastrous results. Let our professional staff walk you and your family through effective tactics and planning. We come to your home and conduct a site security assessment, create a contingency plan for your entire family, a safe room and what it needs, and run your family through scenarios so you and your family can be prepared if a intrusion occurs. Also can include 1 hour of live fire range time or reality based Simunitions for an additional fee. 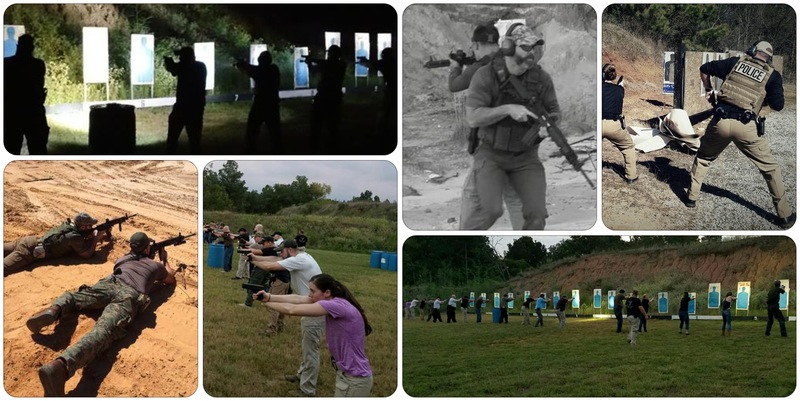 Performed on a private range, takes the skills learned in DEFENSIVE HANDGUN LEVEL 1 COURSE and moves students to the next level in Personal Protection Training including 3rd party protection and advanced movement. 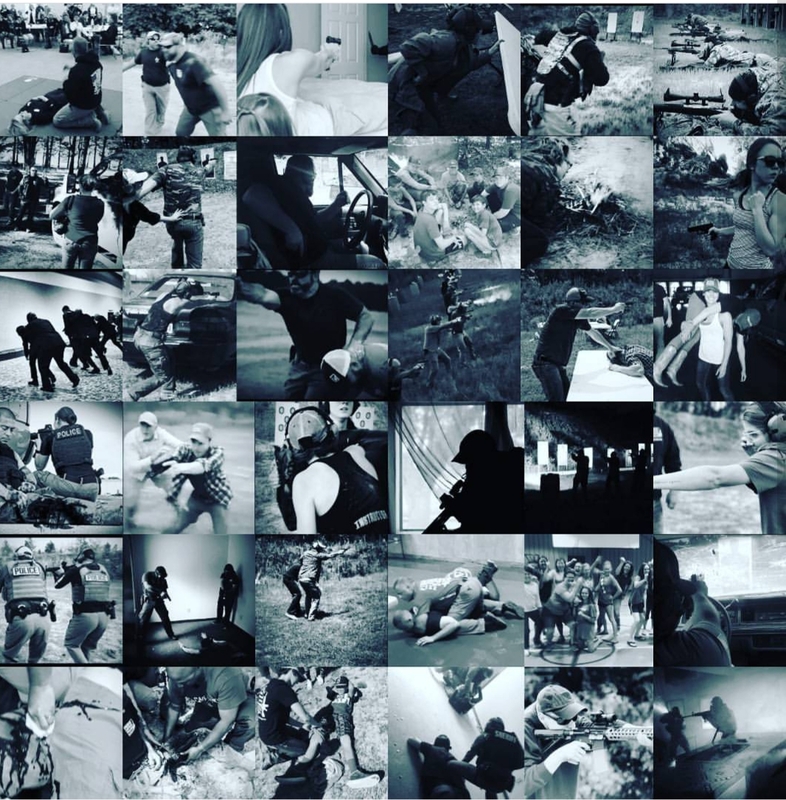 Takes the skills and training learned in the previous courses and puts the student in a environment of elevated heart rate and stress similar to a real life personal defense situation. Students have to take at least Level 2 course from us or similar course from another instructor and must show proof – This course is not for new shooters! Defensive Handgun skills and tactics for defense in low light conditions. Tactics include handheld and weapon mounted light techniques for home and personal defense. ** Any of the above skill levels can be combined in a class for private or private group sessions. This course is designed to develop the student with the understanding and proficiency of utilizing a carbine for personal defense. Each student will progress from a basic handling into woodland environment for defending the home and perimeter of their property. Builds on Level 1 skills to an intermediate level. Includes third party protection and team tactics. Builds on Level 1/2 skills. Includes induced stress level training. LOW LIGHT / NO LIGHT Defensive Carbine class available…contact us for details and pricing. The course is designed to develop the student with the understanding and proficiency of utilizing a shotgun for personal defense. Each student will progress from a basic handling into intermediate shooting drills. The training focuses on utilizing a shotgun in a urban environment in defending the home and perimeter of their property. Topics Covered: Safety, Fundamentals, Ready Positions, Reloads, Shooting Positions and Transitions, Single and Multiple Target Engagement, Shooting on the Move, Utilizing Barricades & Secondary Weapon Transition. Minimum Gear Required: Pump Action or Semi-auto Shotgun, 100 rounds of #8 or #9 Birdshot, 25 rounds of Slug, 50 rounds of 00 Buckshot, Sling, Ear & Eye Protection and Water. Optional Gear: Handgun with target rounds, holster, plate carrier or tactical vest and rain gear. LOW LIGHT/NO LIGHT Defensive Shotgun class available…contact us for details and pricing. Handgun, Long Gun, and Edged Weapons Disarming Techniques. Handgun and Long Gun Retention Techniques. Class type and skill levels vary. Setting up for success, and more.